There's a difference between having a job and making a difference. American Express has been making a difference in people's lives for over 160 years, backing them in moments big and small, granting access, tools, and resources to take on their biggest challenges and reap the greatest rewards. - The Primary Objective Would Be To Deliver Very High Standards Of Customer Service By Handling Correspondence And Queries For Premium And High Value Customers. - Complete All Transactions Agreed With The Customer And Adhere To All Timelines And Deadlines Set. Suggest Process Improvements / Changes To Achieve & Ensure First Contact Resolution. - Conduct Root Cause Analysis Of Incoming Correspondence To Recommend Changes In Work Flows, Procedures, Servicing Levels, Based On Customers Demands To Meet Their Needs & Ensure Exceptional Quality Service Is Given At All Times. - Handle All Written Customer Enquiries, Maintenance And Non-Se Disputes For Customers In A Timely And Accurate Manner. - Ensure Smooth Functioning Of Cmm By Meeting Key Performance Indicators & Achieving Laid Down Slas. - Contribute Towards Team Goals By Strictly Managing Individual Productivity Targets. - Ensure Complete Adherence To Approval Grid For Financial Adjustments By Team And Self. - Graduate Good communication skills both written and oral. - Analytical mind & attention to detail. High level of Customer sensitivity, commitment & service orientation. 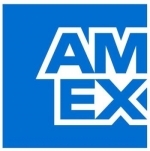 - Amex product knowledge is desirable. - Ability to take independent decision & meet stringent deadlines. Do It The Right Way : Communicate Frequently, Candidly & Clearly, Make Decisions Quickly & Effectively, Live the Blue Box Values, Great Leadership Demands Courage.